After SO many requests, I’m finally sharing a full SIZE comparison on my Louis Vuitton Nevderfull (MM & GM) & my Goyard PM tote. 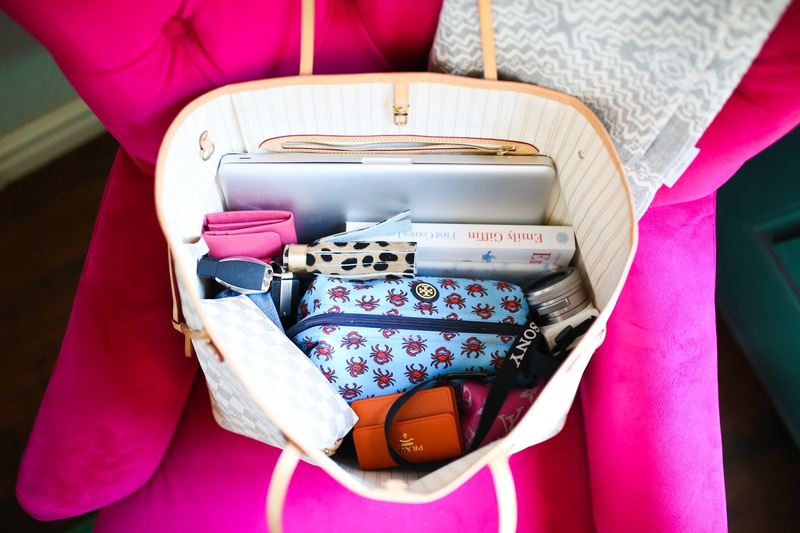 I’m totally one of those people that love researching something before I purchase it – and I know if you are shopping for a tote, you may be confused on the sizing and what size is best for you. So, I’m going to give you a full comparison of the handbags including what all I can fit into them all and how they look on me! First, its important to take note that I am kind of tall – I am almost 5’7 (because of this I feel tend to wear larger bags!) Also, I have wider set hips so bigger bags just don’t intimidate me. For size reference I wear size 2 on top and size 4 in bottoms. 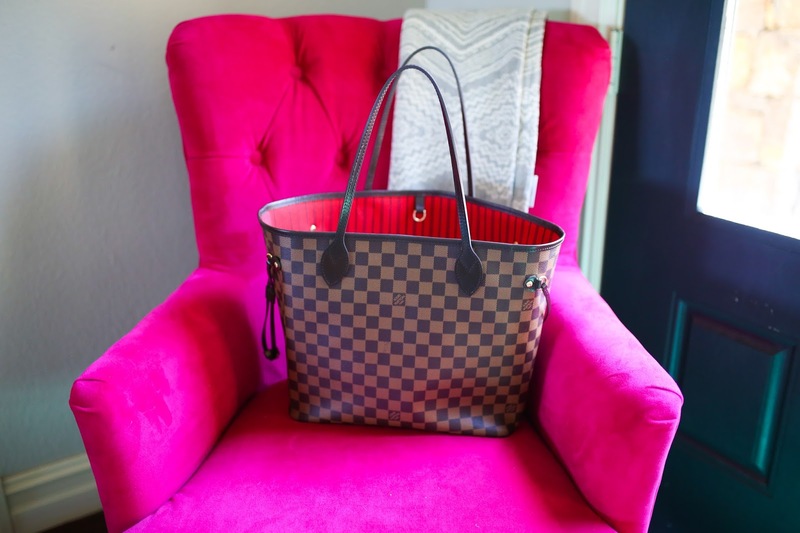 First up is my Louis Vuitton Neverfull GM in Damier Azur. Out of the 3, I carry this one the most. I can fit SO much into it! 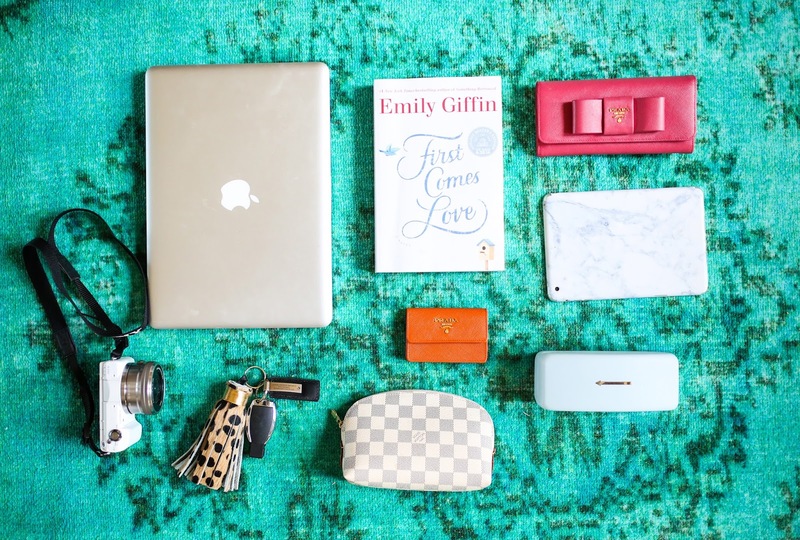 In this case, I packed my 13″ Macbook Pro (not my little gold one), a cosmetic bag completely full of makeup, full size Prada wallet, iPad mini, denim jacket, scarf, camera, LV cosmetic bag full of lipstick, keychain, Emily Griffin’s new book (SO good! ), Karen Walker sunglasses w/ case (these cases are HUGE) & my cardholder. I’ve been traveling with this one for ab 2 mos now and even when it is full, it still fits under the plane seats nicely. All of these items fit nicely and I could’ve throw more on top if I were desperate or traveling. This 13′ laptop is pretty heavy as well as my makeup bag so I hate to push the limits on the straps but I think the Neverful gets prettier the more you wear it. See this bag in blog posts w/ full outfits HERE HERE & HERE. 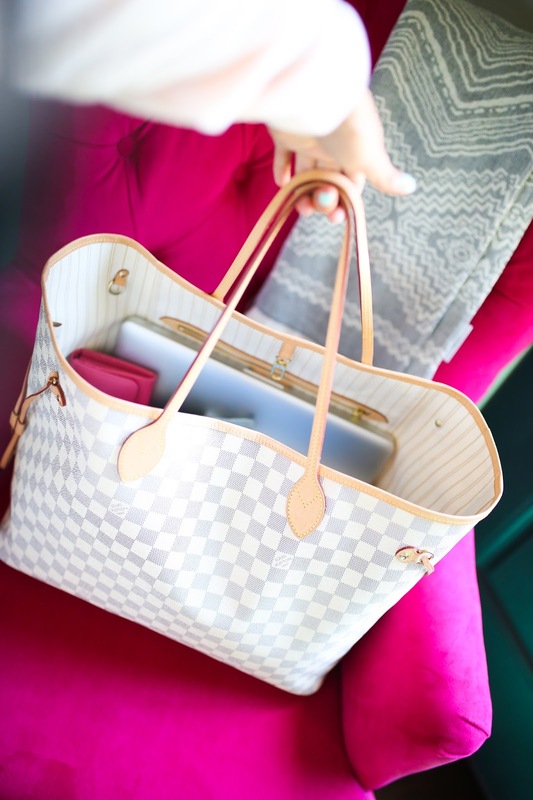 Second is my Louis Vuitton Neverfull MM in Damier Ebene. In this bag, I eliminated the makeup bag, denim jacket, & scarf. SEE FULL OUTFIT POSTS W/THIS BAG HERE & HERE. 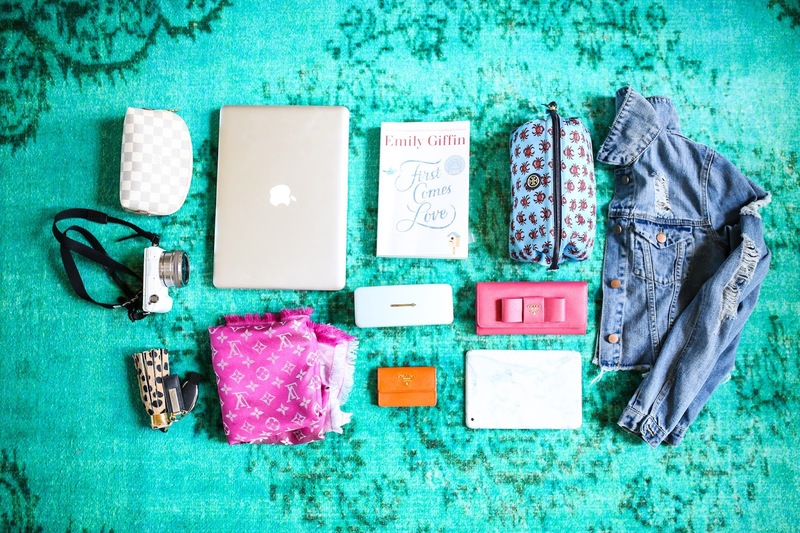 ^the bag is full of those items in this photo – you can see there’s room for more! Lastly is this Goyard Chevron St. Louis PM in black. This is the smallest tote I’ve ever carried, but honestly, I really, really like it. It doesn’t hold quite as much as the other two but it’s not TOO small. You can definitely size up to the medium if you are wanting for it to hold more! SEE FULL OUTFIT POST CARRYING THIS BAG HERE & HERE. If you are looking to save some money – try buying a look-a-like like THIS one or one with the same size & shape like THIS one. OR, buy it used – I’m linking some options below that are currently available. Book is a new one by Emily Griffin ‘first comes love‘- it will be on shelves at the end of this month. Hopefully I’ve covered everything & answered your questions! If you have more questions – leave them in the comments below and I’ll answer throughout today. Love this post! I must say that the LV in big size is veery big! But good for traveling! Hi Emily! Do you have any issues with the quality of the Goyard? I've heard so many people say that the straps crack and it just doesn't hold up as well as the LVs. Just looking for another opinion before I make a decision on which to purchase. Thanks! Great post! Thanks for sharing. These are all great bags:) I have the GM neverfull and I originally bought it as a book bag for school. I wanted something open so I could easily reach in and quickly grab what I needed. I got nervous about the thin straps too but the sales associate at the Bal Harbour store told me that the bag was designed and tested to carry over 200 lbs. This was the reason I ended up buying it and with all the humungous textbooks and laptops I dragged around campus inside it, this bag never felt like it couldn't take the weight. Since graduation it's the perfect travel bag for me. I have actually been wanting one of these three bags so badly but have had trouble deciding! I think based off this post the LV MM is the way to go for me!! Loved this post! Great comparison! For work I usually carry two bags so if I run out for lunch I can just grab my smaller bag. Could you link the camera? its just a sony POS!! Its a sony point & shoot! We use it for vlogging – when we do vlog! Great review! I love my never full! I often find myself simply carrying a wallet. Probably out of pure laziness. LOL! This is so helpful! I am def going to reference this next time I buy a new tote! I have been looking for an alternative diaper bag, and the never full sounds like it will fit all of my stuff really well. Thank you! Great post! I love this style of bag, it is a good bag if you are on the go a lot. I have the LV and I have a Gucci bag in this style. I also hear this style doubles as a great diaper bag. This is so great!! You literally answered every question I have when shopping for bags! Awesome review! 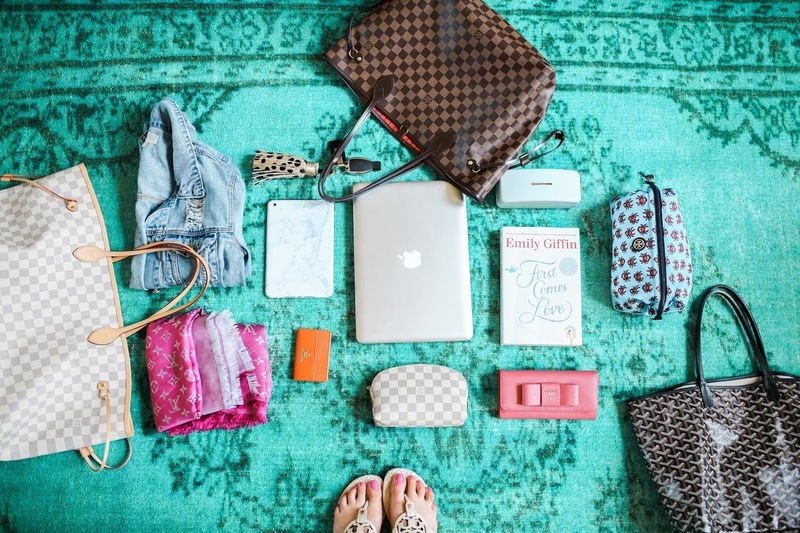 Love how you showed what you can fit in each bag! I really want to get this Louis bag! 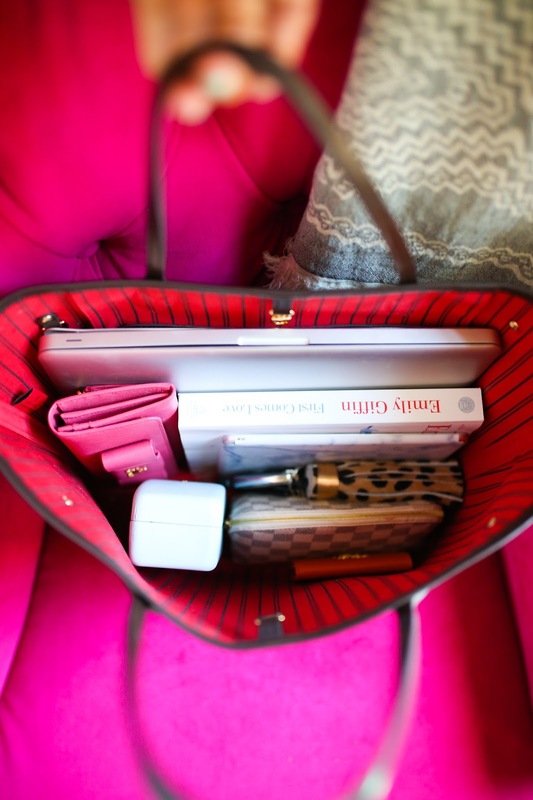 I love the Neverfull! I have been wanting to get one, this was actually a super helpful post! 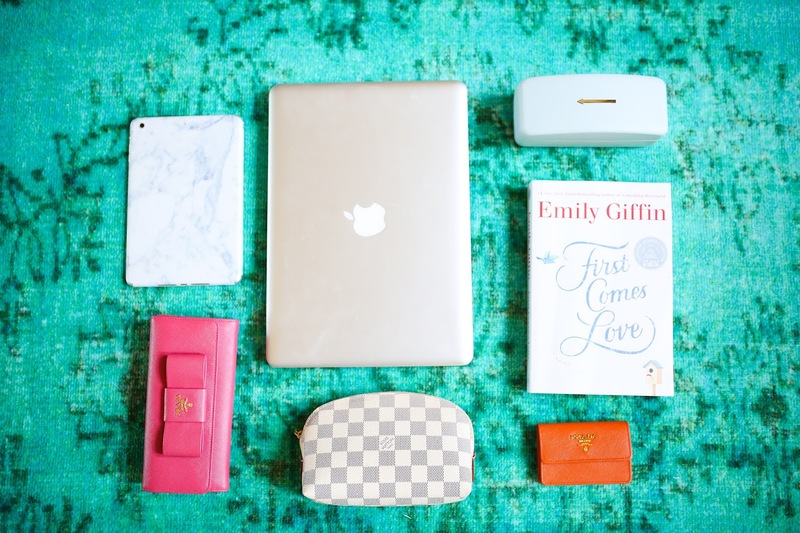 The Neverfull – its such a great investment. Great post! I love to see posts where you compare & review pieces. 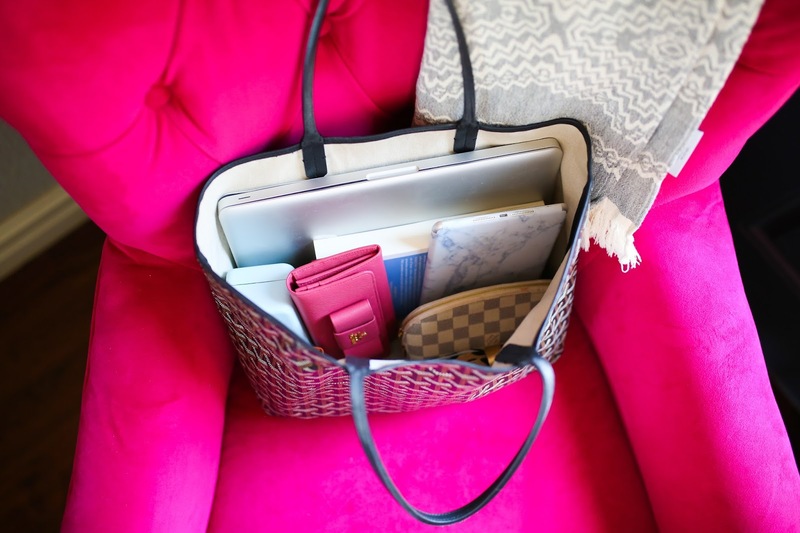 I've had my eye on a Neverfull for quite a while now & seeing this post is perfect – the MM will do just fine for what I need! Thank you! LOVE this review – so informative. This is so helpful to be able to see the difference! Such a great bag review!! Thanks for this post! I've reduced my bag contents a few years back since I don't have toddlers anymore so my husband got me a Goyard Jeanne MM for Christmas two years ago. And just when I thought I am over big bags, I got pregnant again this year! So now I'm looking into getting a Saint Louis for a diaper bag (as I love Goyard). The Neverfull MM looks sturdier in comparison and would be a good option, but it looks way heavier than a Saint Louis! As I am petite, the last thing I want is to carry a tote that would drown me and would break my scoliotic back! Can you give me the weight of the Neverfull MM and the Saint Louis PM without anything in them? Thanks heaps! On December 13, 2016, I purchased a small Goyard tote for my wife for the holidays. She loved the bag and used it to carry her laptop to/from work everyday. After six months it had a hole in the side of the bag. Let me get into the particulars. When I purchased the bag, I debated between the larger tote and the smaller tote. The sales person asked what my wife was going to do with the tote. I told her that it was going to be an everyday office bag to transport a laptop. She advised me to go with the smaller bag since the larger tote was sized for weekend get aways. My wife discovered the hole in the bag at the beginning of May, and on 5/16, I emailed Goyard asking if there was any way to repair this either under warrantee or for a fee. There was no response for two business days so I wrote back to Goyard asking for a response. Finally they responded with an apology asking for a picture. We sent them pictures as requested. The same day, 5/18. Apparently, they called me on 5/22 without leaving me a voicemail. I’ll admit that there is a 212 area code phone call on my phone FOUR days after we sent them the pictures. I didn’t recognize the number and didn’t pick up the call. I emailed them again on 5/23 asking for a response. Again they did not respond to email, but called. Again I didn’t recognize the number so I ignored it. Goyard, if someone emails you, they expect a response via email. This time they left a voicemail though so I called them back. They said that they couldn’t repair it since it was normal wear and tear. I understand that you can’t exactly re-sew a hole closed, but could they give me a discount on a new bag. They said no, since this isn’t their fault. They said the bag is advertised as a beach bag not a bag to carry a laptop. 1. Goyard DOES NOT respond timely to their own published email address. 2. 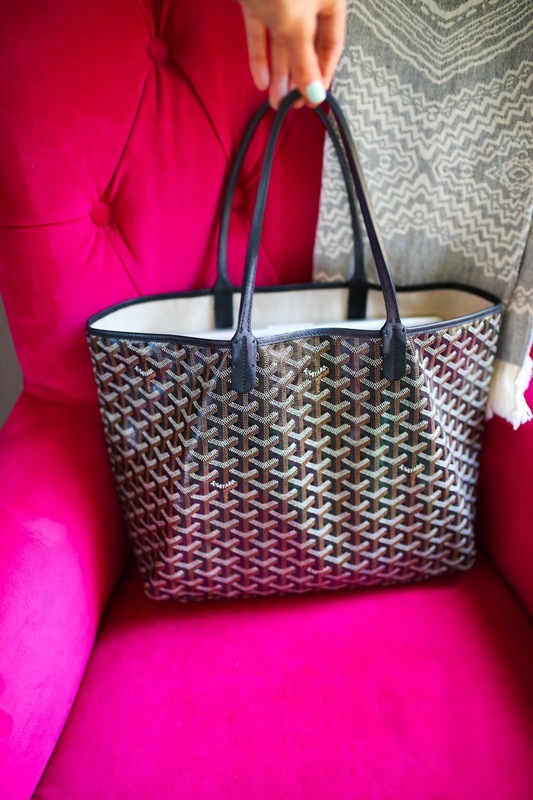 Goyard insists that the sales person would have told me that this was a beach tote and not to carry a laptop. I don’t recall that conversation and admittedly, they may have told me that when I bought it. I believe that if I heard that I would have made an alternative decision. I also believe that their sales people are human and can make mistakes as well, despite their insistence that I was told that six months ago during the busy holiday shopping season. 3. Let’s assume it is a beach tote. It should be able to handle the weight of beach items, a good book, bathing suit, towel, flip flops, sun glasses, maybe a Swell bottle with water to a sandy beach (sand is a bit rough at times) next to a corrosive salt water ocean. But it can’t handle carrying an executive weight laptop to and from the office in a luxury car for six months. I didn’t ask them for a warrantee repair, I didn’t ask them to replace an item I believed to be defective. I asked for a discount on a new replacement bag for my wife. I do expect the quality to be a little higher. And I do expect Goyard to respond to their published email address in a timely manner. More than that, I expect a luxury product company to have excellent and timely customer service. Product is beautiful (kudos to the designers), the customer service is condescending, slow and ineffective since I will no longer be a customer. I’m looking for a bag to use for work daily. Do you think the MM is the best option for me? i usually have a laptop, notebook and then some makeup, pens and some smaller things. i’m your same height and portions. I’m thinking the gm might be too big. I’d stick w/the GM! It is for sure the best! And can be cinched down! Thanks for the great post. I am deciding which color to buy in the Neverfull GM. I love the Damier Azur color the most (like yours) but I am nervous about the color. How does it hold up? I imagine the darker colors could be less fragile, but would love to know how yours looks after some wear. I want to use it for travel, and I noticed you mentioned putting it under the seat in an airplane, so maybe it is sturdier than I think! Thanks! Love your post! I had a question about the mm. I wanted it for work/grad school and recentlybpurchased it in europe bc i thought Ihad done enough enough research but it was rushed bc they didnt have much in stock. Would you think a 15” macbook Pro would fit in the mm? It “fits” but there is a inch on either side sticking fUrther out from the base-will that permanenTlt distort the canvas? I am 5’ 1”! Thank you for the awesome blog! 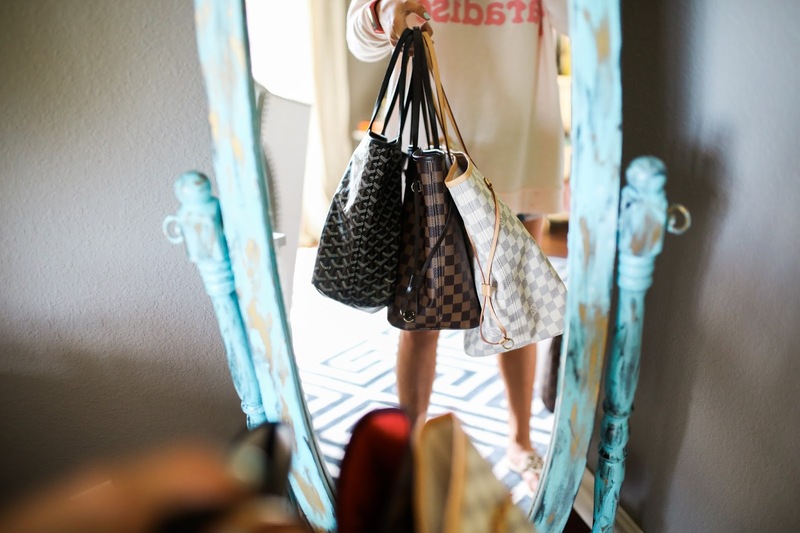 If you could buy only one lv bag for every day that’s medium to large, would it be neverfull MM? and would you choose monogram, Damier, or azur? Thank you. I’m wondering if all colors can be worn all year around?